We've just returned from the Cruise Lines International Association’s (CLIA) successful annual cruise3sixty conference at the Broward County Convention Center. Stopping at the convention center was the U.S. Travel Association’s (USTA) “Vote Travel – Get America Moving” travel bus which is making its way across America to get its message out during this election year. In fact the bus will travel 20,000 miles to raise awareness of the significant economic impact of the $1.8 trillion U.S. travel industry. Travel supports 14.4 million American jobs that cannot be outsourced, which is why we need policies that allow the travel industry to thrive. 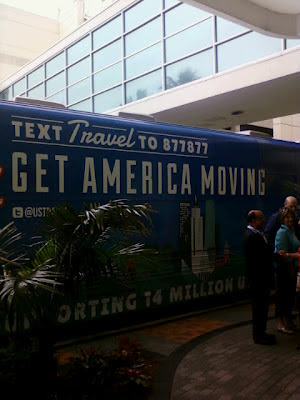 USTA is encouraging the public to get out and vote for candidates and elected officials that will support the travel industry. Speaking to cruise3sixty delegates earlier, USTA president and CEO, Roger Dow, said, “We are galvanizing support and asking all Americans to “Vote Travel” this election season." Everyone love's travel, but we often take for granted the impact we can have on our nation. So, please visit the USTA website to learn more about this grassroots movement. Perhaps the travel bus will be visiting near you soon. In the wake of the Costa Concordia accident, the cruise industry has examined the current safety standards and made modifications. Cruise Lines International Association (CLIA) and European Cruise Council (ECC), have jointly announced new recommendations. The new policies address issues related to personnel access to the bridge, passage planning and life jackets - all of which came under scrutiny during the Costa Concordia investigation. The new policy announced by CLIA states "bridge access will now be limited to those with operational functions during any period of restricted maneuvering or when increased vigilance is required." The period for increased vigilance is defined as "any time a vessel is constrained in its ability to freely navigate, such as in a restricted waterway/channel, entering a port, or an area where there is an unusually high volume or compression of vessel traffic." The policy changes will most likely impact bridge tours, which are often part of "behind-the-scenes" activities offered to certain passengers, such as those with higher loyalty status with the cruise line. Voyage plans have always been a requirement under the International Maritime Organization's SOLAS conventions, however consistency and level of detail in the plans was previously not detailed in the formal polices. The new language, adopted by CLIA and ECC, explicitly requires for the plan to be "drafted by a designated officer and approved by the master" well in advance of the sailing, Recall that the master of Costa Concordia claims that he was authorized to do the "sail by salute". The change in life jacket policy calls for ships to carry more life jackets than are currently legally required. SOLAS currently dictates that ships carry life jackets for every berth, which may be higher than the number of persons onboard, plus five percent. In practice, the majority of cruise ships carry many more life jackets than is required, but the new policy will raise the official mandatory minimum. Some Concordia passengers indicated that they had to return to the cabins in the dark in order to retrieve their life jackets. The new limits will mean the muster stations will be required to increase the quantities available for passengers unable to return to their cabins in an emergency to retrieve their life jackets. 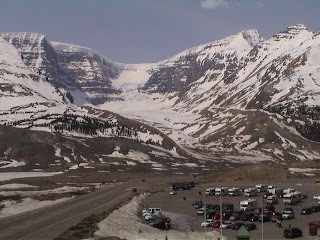 Canadian Rockies Cruisetour this year. Welcome to the land of unspoiled scenery, fresh air and abundant wildlife. Available before or after your 7-night Inside Passage cruise aboard Celebrity Century®, this land tour takes you high into the Canadian Rocky Mountains. Explore the breathtaking views of Banff National Park as you travel past Mt. Robson, the highest and most prominent mountain in the Canadian Rockies. Travel in luxury as you enjoy Sleeper Touring Class aboard the VIA Rail®. 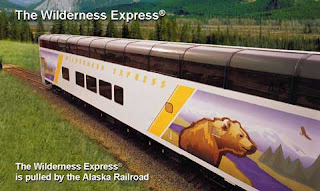 Marvel at stunning views through picture windows in your private sleeping cabin and glass domed railcars. Nostalgic dining cars provide gourmet made-to-order meals. Sink into luxury as you relax in deluxe Fairmont hotels and lodges nestled against the rugged mountain wilderness. Iceﬁeld Tour, Vancouver City Tour. Itinerary subject to change without notice. ©2011 Celebrity Cruises Inc. Ships’ registry: Malta and Ecuador. 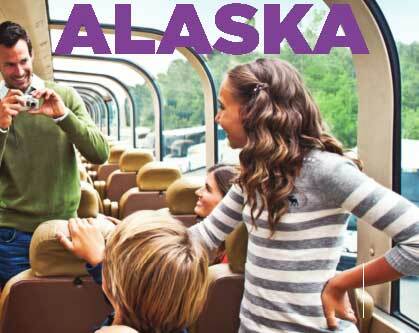 We invite you to bring the entire family with you on a Celebrity Cruisetour to Alaska's interior. You will be greeted by a local expert who will serve as your tour guide throughout your land-based portion of your vacation. See what a difference a Tour Director can make. Most people thought of a cruise to Alaska as the ultimate vacation, to be completed sometime later in life, perhaps when the children are grown and on their own. Now, that thinking has changed and many families go to Alaska as an educational experience while the children are living with you. Whichever situation applies to you, we are happy that you are exploring an Alaska cruise vacation. Our blog and Facebook page has a wealth of information to get you started on your investigation. 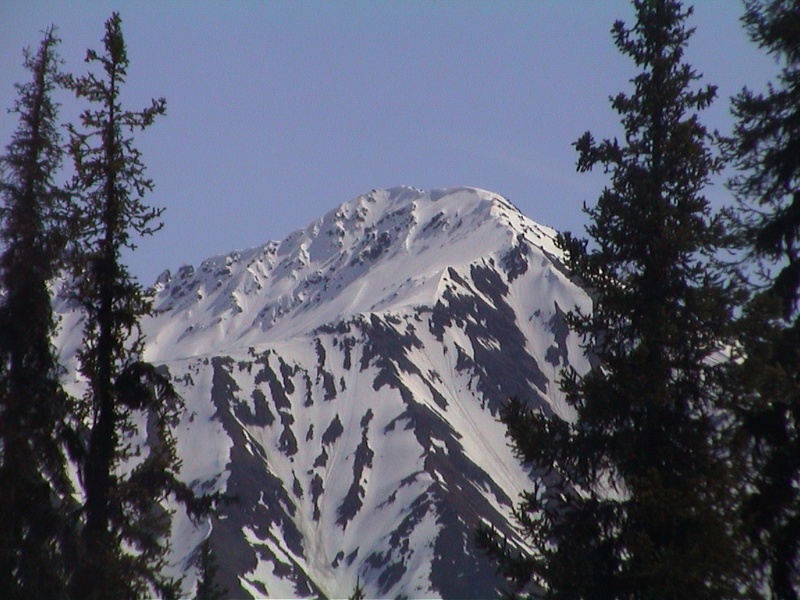 We are Certified Alaska Experts and can help you plan a worry-free trip that will satisfy the requests of everyone in your group. We encourage you to extend your cruise by adding one of the many Cruisetours which can be added before or after the cruise portion of your trip - or even both if you have the time. Here is just a sampling of Cruisetours on Celebrity Millennium, one of our favorite ships. As we mark the 42nd Anniversary of Earth Day on April 22, 2012, we turn our focus to the cruise industry. Each day, thousands of passengers sail to destinations across the globe in these vessels which have the potential of conserving or wasting our national resources. A lot depends on the efforts of the cruise lines and the cooperation of those that sail. Costa Crociere and the Costa Concordia Emergency Commissioner's Office announced that the tender for the removal of the ship from Giglio Island has been awarded to Titan Salvage in partnership with the Italian firm Micoperi. The work will begin in early May subject to final approval from the Italian authorities and is expected to take about 12 months. Titan Salvage is an American-owned specialist marine salvage and wreck removal company, part of the Crowley Group, and is a world leader in its field. Micoperi is a well-known Italian marine contractor with a long history as a specialist in underwater construction and engineering. "We are very pleased to announce another important step toward salvaging the wreck from Giglio Island," said Costa Crociere S.p.A. Chairman & CEO Pier Luigi Foschi. "As was the case with the removal of the fuel, we have sought to identify the best solution to safeguard the island and its marine environment and to protect its tourism. We would like also to thank Smit Salvage and Tito Neri for succeeding in defueling and caretaking operations." The plan also includes measures to safeguard the island of Giglio's tourism and wider economy. Salvage workers' presence will not have any significant impact on the availability of hotel accommodation on the island during the summer season. The main operating base will be located on the mainland at nearby Civitavecchia, where equipment and materials will be stored, thereby avoiding any impact on Giglio's port activities. Costa Crociere, Carnival Corporation & plc, London Offshore Consultants, and the Standard P&I Club formulated the plans by reviewing bids from six companies. 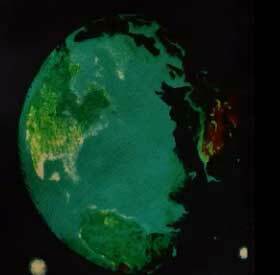 The Titan Salvage/Micoperi proposal best fulfilled the main objectives stated above. Once the main work is complete, the sea bottom will be cleaned and marine flora replanted. The year 2012 continues to have its share of cruise ship mishaps. Friday, while on its way back to its homeport of Port Everglades, Florida, Royal Caribbean Allure of the Seas experienced a small, short-lived engine fire. There were no injuries as a result of the fire. It broke out around 7:45 PM according the the cruise line. Allure of the Seas, weighing in at 225,282 Tons and accommodating up to 6,360 Passengers, along with her sister ship Oasis of the Seas, is the largest cruise ship in the world. The ship was built with state-of-the-art features, which played a key role in this event. The ship's high fog system was immediately activated, which contained and extinguished the fire. Allure of the Seas continued under its own power from St. Maarten and is expected to arrive in Fort Lauderdale on schedule Sunday. The ship sails 7-night Caribbean itineraries each week. We are happy to hear the no crew or passengers were injured in the incident. There have been no reports of upcoming delays or cancellations in connection with the engine fire, but we will keep watch for any breaking news. Azamara Quest departed Singapore and is currently in route to Mumbai (Bombay), India. Azamara Quest is expected to arrive in Mumbai in time for its next scheduled sailing on Tuesday, April 24. Azamara Quest's return to the sea begins with a pre-voyage stay in Mumbai, the India of entrepreneurs, Bollywood films, beautiful temples and grand colonial architecture. Then it’s time to relax at sea, enjoying an array of spa services and evenings of leisurely dining and onboard entertainment. A late night stay in Safaga lets guests visit the great temple complex in Karnak and the Valley of the Kings where Tut’s tomb was discovered. The ship has an overnight stay in Aqaba, Jordan where one can visit the ancient rose-red city of Petra, filled with stunning architecture. In Sharm El Sheikh, guests can explore the famous coral reefs or visit St. Catherine’s Monastery to view priceless early Christian art and manuscripts. The voyage ends in Sokhna, close to Cairo’s treasures, including the pyramids. "We are pleased to report that the condition of the Azamara Quest crew member that was more severely injured continues to improve. Our thoughts and prayers continue to be with our crew member and his family. Azamara Club Cruises would like to thank everyone for their thoughtfulness and concern regarding our injured crew member." Many of you have asked for a way to make a donation to assist our injured crew member. If you would like to make a donation, please make the check payable to Azamara Club Cruises, write "Crew Donation/Azamara Quest" on the memo field, and mail to the address below. One hundred percent of all contributions will go directly to the fund we have set up for our injured crew member. 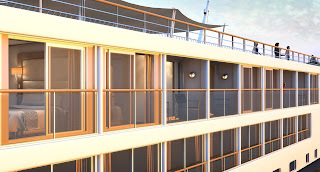 Viking River Cruises has cancelled the April 24 departure of the Viking Njord due to continuing construction delays at the Neptun Werft shipyard in Rostock, Germany. The April 24 “Tulips & Windmills” departure becomes the latest cancellation which included March 28 and April 6 sailings. The ship is now scheduled to enter service May 3, 2012. As we reported in our previous blog post, Viking Longboats Christened, four of the longboats were scheduled to be christened at the same time and begin sailing in March. Two ships were named in Amsterdam while the Viking Freya and Viking Njord were named the same day in the shipyard in Rockstock instead. On March 14, 2012, Viking River Cruises announced that it has commissioned six more Viking Longships for delivery in 2013. The Longship series have been designed by celebrated maritime architects Yran & Storbraaten and Los Angeles based Rottet Studios. They are all being built at the Neptun Yard in Germany, part of the Meyer Neptun group. These delays, caused by local strikes at the shipyard, are costing the company money. Impacted passengers, on the cancelled cruise, have been contacted and offered a full refund plus credit for a future European cruise worth 25 percent of the amount paid. 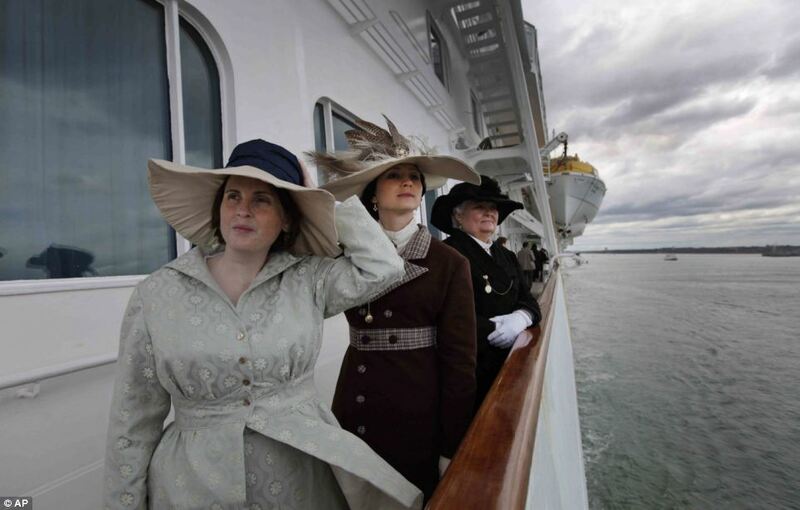 Events across the world are marking the Centenary of the Titanic Sinking in the Atlantic. The RMS Titanic was a British steamliner built by the White Star Line. For her time, she was the largest passenger steamship in the world. It employed the latest technology available at the time, and was thought to have been "unsinkable". Unfortunately, as you know, that wasn't the case. The Titanic left Southampton, UK on April 10, 1912, with 2,200 passengers and crew onboard. This was the maiden voyage of this amazing new steamship. Four days after leaving Southampton, the Titanic collided with an iceberg and sank. Over 1500 people perished making it one of the most deadly peacetime disasters in history. The high casualty rate was later believed to be due to the insufficient number of lifeboats onboard, something that has been corrected in modern day cruise liners. Just in time for the Centenary of the Titanic sinking, a large interactive exhibit, Titanic Belfast®, has opened in Northern Ireland. It extends over nine galleries, complete with special effects, dark rides, full-scale reconstructions, and other interactive features for the visitor to explore everything about the Titanic. Your visit starts with the conception in Belfast in the early 1900s, through her construction and launch, to her infamous maiden voyage and catastrophic demise. The journey goes beyond the aftermath of the sinking, to the discovery of the wreck and continues into the present day with a live undersea exploration centre. This will surely be a must-see attraction for years to come. For most of the century following the Titanic disaster, it was a taboo to mention the "T-word" in Belfast, Northern Ireland, site of the shipyard that built that ship and her two sister ships, Olympia and Britannic. It was a reminder of the industrial failure that followed the disaster. The cranes are silent now in the shipyard, as their focus shifted to servicing ships and marine infrastructure. They are staying out of the spotlight on the anniversary of the Titanic. The only involvement is sponsoring a requiem mass. Some 16,000 people packed the Belfast slipways where the Titanic was built for a free, open-air concert Friday ahead of the 100th anniversary of the luxury liner’s sinking. Observances in Belfast include a choral requiem at the Anglican St. Anne's Cathedral and a nationally televised concert at the city's Waterfront Hall on Saturday, where thousands were expected to attend. Southampton, England was the departure port for the ill-fated Titanic. The anniversary is being marked by an orchestra which will play composer Gavin Bryars' work "The Sinking of the Titanic". About 600 of the Titanic's approximately 900 workers hailed from Southampton, a port city in England. More than 500 from the city died. The Maritime Museum, Southampton hosts a permanent exhibition featuring the story of Titanic’s crew. Visitors can find out about the Titanic crew roles onboard and personal stories. The Museum has collections of audio of crew member’s memories of the night Titanic struck the iceberg and the consequences for them and their families. The MS Balmoral and Azamara Journey are enroute to the spot where Titanic sank (41°43'57"N, 49°56'49"W) where a memorial service will be held some 400 miles (640 kilometers) off the coast of Newfoundland. Miles Morgan Travel offered two cruises, Anniversary Cruise from New York on the Journey, and Memorial Cruise from Southampton on the Balmoral. According to details released by Miles Morgan, at 2:20 a.m. ship's time on Sunday — 0547 GMT or 12:47 a.m. EDT — a minister will lead prayers, floral wreaths will be thrown into the sea and a shipboard band, which has been entertaining guests in the evenings during the cruise, will play "Nearer My God To Thee," the tune the Titanic's band kept up as the vessel went down. In 1912 "ship's time" was determined by predicting when the sun would be at its highest point and making that moment midday. On some vessels the clocks were constantly updated. It is an outdated practice but to ensure that the memorial is held at exactly the right time, the Balmoral's clocks have been put back to four hours and 27 minutes before BST. That means the ship is now effectively on Titanic time. Halifax, Nova Scotia, has a grim connection with the Titanic disaster. The White Star Line chartered several ships to assist in recovery efforts following the sinking of the Titanic. Two Halifax-based ships, the MacKay-Bennett and the Minia, were part of that recovery fleet. The ships' crews recovered 328 bodies, with 209 being returned to Halifax. The badly damaged or deteriorated bodies were buried at sea. Of the 119 buried at sea, 60 were unidentified at the time and 49 remain unidentified today. The Maritime Museum of the Atlantic has an extensive exhibit, Titanic: The Unsinkable Ship and Halifax, which was recently updated. The exhibit, recognized as the world's finest collection of wooden artifacts from the vessel, has 20 artifacts and dozens of photographs, including many that had never been published or displayed before. Two well known articles in the exhibit are the only intact Titanic deck chair and the shoes of the Titanic unknown child. Consult the museum's Research Page for more Titanic information. from 9:30pm to 12:30am AST. from 3:00pm to 4:30pm AST. The MS Balmoral set sail Sunday from Southampton, England, loaded with 1,039 passengers, the same as the ill-fated RMS Titanic. Relatives of those who lost their lives, relatives of survivors, historians and journalists were among the passengers on this memorial cruise. Miles Morgan Travel offered two cruises, Anniversary Cruise from New York, and this one, Memorial Cruise from Southampton. The two cruises were marketed with the slogan "Be part of a once in a life time historical event". 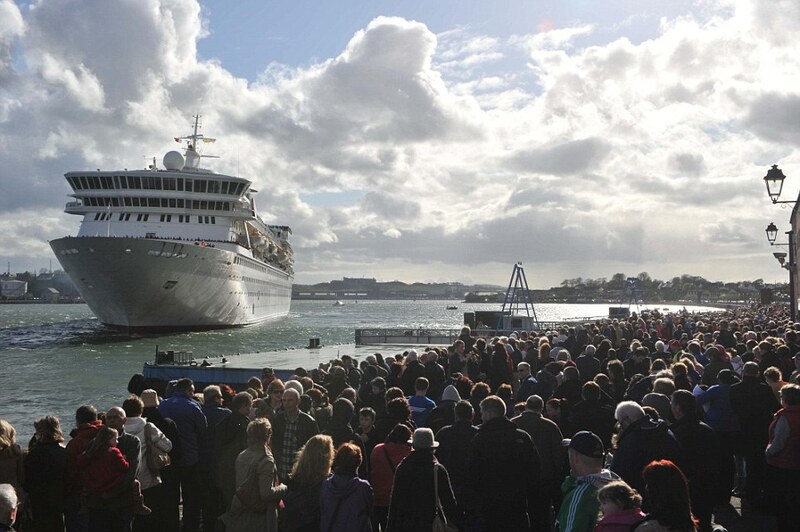 The Memorial Cruise planned to sail past France and stop in Cobh, Ireland, before continuing it's Atlantic crossing. The captain planned to reach the Titanic's wreck site in the North Atlantic for a memorial ceremony to mark the moment the liner struck an iceberg on April 14, 100 years ago, where a memorial event will take place. The Memorial Cruise has had two delays thus far, and there is a feeling that it might be doomed by bad luck. The first delay was caused by gales and 30ft waves just hours into its voyage as it crossed the Irish Sea after leaving Southampton on Sunday. After stopping in Cobh, Ireland, the MS Balmoral was heading out into the Atlantic when it had to change course back towards Ireland after BBC cameraman Timothy Rex fell 'seriously ill'. He was experiencing chest pains and it was thought he might have suffered a heart attack. Mr Rex, 56, was airlifted by coastguard to hospital when the ship reached the helicopter's range – 130 miles from land. The Titanic hit an iceberg on April 14, 1912 and sank the following morning, claiming the lives of 1,517 passengers and crew. During this historic voyage, passengers will gather for a memorial ceremony at 11.40 PM, the time the ship hit the iceberg, and again at 2.20 AM the following morning to mark the moment it sank. After visiting the wreck site, it will go to Halifax, Nova Scotia, where some of the Titanic's victims are buried, and then on to New York, the intended destination of RMS Titanic. Today marks the most solemn day in the Christian calendar. Unlike Christmas, Easter is a movable feast occurring the first Sunday after the full moon following the vernal equinox. It can therefore occur between March 22 and April 25. We hope that you saw the full moon two nights ago - it was fabulous. We have had the good fortune to cruise in Europe on several occasions. Our most recent European cruise was to the Mediterranean and Greek Isles. We began our vacation with a pre-cruise stay in the ancient city of Rome. One of the highlights while in Rome was our visit to the Vatican. We began with the Vatican Museum and continued with St. Peter's Basilica. This image was from one of the murals in the museum. Throughout Europe one has the opportunity to visit many impressive churches and basilicas. These structures have withstood the test of time. Many of them were damaged during the World Wars and rebuilt. This year there are many cruises to chose from ranging from just a few nights to several weeks. You can select from large modern ships which hold thousands of passengers to river cruises with about one hundred passengers. We suggest extending your stay in Europe before your cruise. This gives you the opportunity to immerse yourself in the history of the region. Visit our Facebook Fan page for images of Europe. Royal Caribbean’s Alaska Family Style Northbound Cruisetour brings together the Last Frontier’s best family experiences by land and sea, in one easy-to-book vacation. 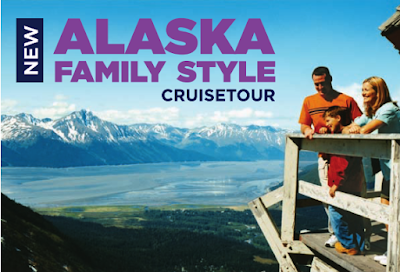 Royal Caribbean's Alaska "Family Style" Cruisetour packs an abundance of educational opportunities and experiences in with a whole lot of fun. Expert Adventure Specialists create an intimate setting for all families traveling together, providing family focused insider tips and suggestions throughout the journey. Your 12 night Alaska Cruisetour package includes the 7-night Northbound Alaska cruise onboard Royal Caribbean's Radiance of the Seas with the Adventure Ocean program, fabulous onboard entertainment and a visit to the mighty Hubbard Glacier. The cruise is complimented with a 5-night escorted land tour featuring rail travel on the Wilderness Express® glass domed railcars along the scenic journey between Seward and Alyeska. Two nights in Denali provide the younger travelers with ample opportunities to engage in the all the National Park has to offer. In addition the hotel properties have been carefully chosen to provide families with comfortable accommodations as well as easy access to all the sites and attractions unique to each of the stops along the way. Somethings, like Alaska, are best shared together. Watch this video to see what a cruise vacation can include on Royal Caribbean Cruise Line (activities vary by ship). This month we feature King's Wharf, Bermuda. Sail from New York or Boston to this lovely island, whose pink-sand beaches are unlike any others in the Caribbean. 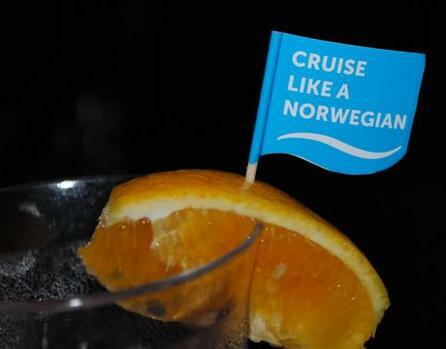 Norwegian Cruise Line offers several cruises to Bermuda. We loved Bermuda, especially the friendly people. We invite you to read more about Bermuda and consider that destination for your next Caribbean adventure. Your NCL cruise will dock at King's Wharf, where you can explore beaches, golf courses, restaurants, shops and historic monuments at your leisure. Or try out one of the many water sports offered in and around this gorgeous harbor. After your day of exploring the island, return to your ship for a massage, dinner, relaxing by the pool, or enjoy the evening's entertainment. Whether you want to dance the night away or simply relax, there's something for you to do either onboard or back onshore. Your ship is your floating hotel for the week. Our favorite excursion was Hartley's Helmet Dive. The Hartley family invites you to join them on their famous "Undersea Walk". 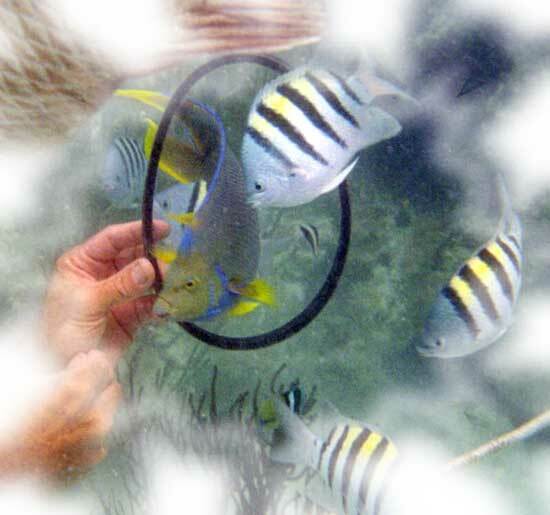 Here you will don a helmet and and walk among the fishes as they swim up to greet you. In fact, they might even do some tricks for you. There's lots of adventure that is reachable from your ship's berth in King's Wharf. We sailed on Norwegian Dawn when we last visited Bermuda. Here are some articles detailing our visit.